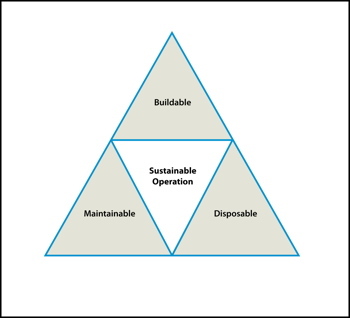 How energy management is undertaken depends on the type of organisation. Larger estates and corporations have a duty-holder with a clearly defined role for managing energy. Within smaller companies it is typically the case that this function will fall into somebody’s role as an additional responsibility. Co-ordination within the different parts of the business is essential for a successful outcome. There is a temptation to turn off services to cut cost, but for a business to operate successfully staff must be provided with conditions that promote efficient and effective working practices. Such dilemmas are not uncommon in business but doing nothing and carrying on as normal, typically classified as ‘business as usual’, is not an option with the risks to business from rising energy prices and security of supply issues. Ownership: Planning is essential to address any challenges that might be encountered. However, these plans are often driven by compliance — to meet statutory requirements and adhere to policies. Energy management needs similar levels of ownership and responsibility throughout the organisation — from board level to the shop floor. The strategy and plan need active boardroom support or the initiative will stall at the technical level and not result in organisational culture change. The aim should be to ensure that it is embedded in the management practices and becomes the ‘new’ ‘business as usual’, and not a constraint. System: For energy management to succeed there must be a system that closely assesses what, where, why and how the energy is used. 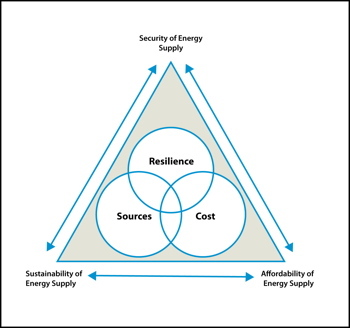 A robust energy-management system should take into account the following. • Have policies and processes that meet business needs. • Have clear aims and objectives that are ‘smart’ in nature. • Be flexible enough so that it can adapt to business needs. Within this scheme there needs to be careful monitoring and analysis which will identify opportunities for improvement. User behaviour: People are energy management’s biggest and best resource, but if badly managed can also be the biggest obstacle. Technology only enables, and for energy management to really work the management and staff need to be on-board. Directors should champion energy management and the associated initiatives, managers should own the procedures, and users need to be incentivised. Site induction, education, training, feedback and updates will all assist. Passive measures — design and building fabric: Modern building designs are normally governed by building codes which require an overall building energy performance that can be achieved by passive design and the use of low-carbon technologies and renewables. Sustainability design tools such as the Building Research Establishment Environmental Assessment Method (BREEAM*) help shape new installations and refurbishment projects. ‘Performance-gap’ issues will probably arise if handover, operation, maintenance and commissioning issues are not considered; the use of assessment methodologies such as BREEAM-In-Use will help. With older structures this is not always as straightforward. Although building science dictates that the fabric should be dealt with first, the economics don’t usually add up unless you have already planned an upgrade and all you’re doing is upping the specification — this is normally a comfort issue or protecting the asset. Fig. 2: Design factors for energy management systems (reproduced from the IET’s ‘Guide to energy management’). Active measures: Occupants continually demonstrating poor user behaviour is usually a sign of a poorly controlled building. Controls are normally the answer — but the choice of controls depends on the functionality required. Checks and balances: Without monitoring and analysing both the existing situation and the feedback that informs any subsequent improvements, a management plan will fail. Energy management, though, needs to be seen as more than just checking the meters and correlating the bills — although this may be essential to initially sell the philosophy and to generate initial savings. Checking meter readings and observing the general patterns of use and operational energy-consumption trends will help to highlight problem areas and any unusual energy activity or specific event; for example spikes in the daily usage are indicative of poor control and/or failing plant. Regular energy audits can highlight particular areas for improvement and should be used to influence user behaviour and to implement measures or better working processes. Procurement: The most immediate challenge might be choosing an energy supplier and selecting the correct tariff. Matching the tariff to the business load profile can be difficult, and estimating future needs may require outside expert help. As energy-management systems develop and projects that will save energy are identified, further procurement challenges are likely to relate to ensuring that the best solution is purchased, whether that be user focused (such as training) or a technology offering. Taking a short-term view or cut-price approach (i.e. value engineering) is normally a false economy. No-cost or low-cost solutions such as behaviour changes are not silver bullets or single-shot solutions; they need to be continuously reinforced or the working culture will slip back to its previous state and savings will eventually be lost. The reality is that the business may not always prioritise investment in energy-saving measures and any business case needs to be robust, taking into account reduced maintenance and increased productivity. Such factors will minimise risk to the owners by protecting the asset and, if the building is rented out, ensure high rental values and low void times. Cameron Steel and Andy Lewry were part of the IET working group responsible for producing a ‘Guide to energy management’ (see link below). The guide provides tools to assist energy managers and engineering staff to understand their own particular processes and responsibilities and the correlation between their respective duties.